This post contains spoilers for the movie and the game: The Prince of Persia: The Sands of Time. Most of the time, video game movies buckle under the pressure of creating solid plots, as some of the most popular games also have some of the flimsiest premises. Video games engage the audience by involving them in the action, a luxury that films do not have. Instead, a movie has to draw its audience in with a compelling plot or relatable characters. Since games often suffer from a dearth of such things, franchises like Super Mario and Street Fighter must be altered, padded, and reworked to make it to the theater. Often the end results are altered beyond recognition and appeal. The Sands of Time breaks from this pattern in a surprising way. Instead of having to expand the game's story into something that can carry a movie, the film was pressed into simplifying the game's narrative. The Sands of Time is game that deals directly with the medium's elasticity. 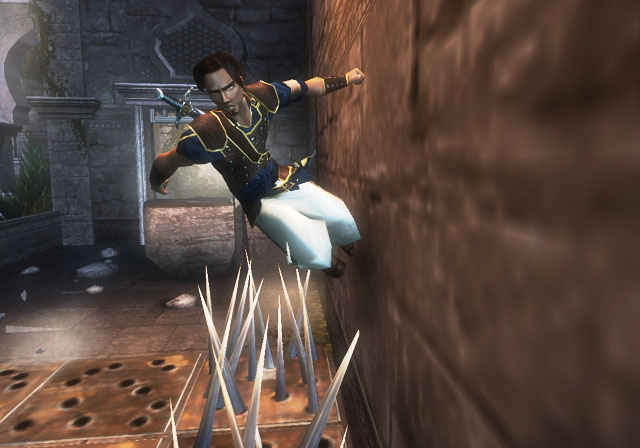 Although many games have liner plots, their execution is one of looping experimentation. Players fail certain challenges or replay levels, adding their story on top of the one the designer creates. Rewinding time is simply an immediate, stylized representation of the story a player is implicitly telling in a game like Mario. Instead of ignoring this complex phenomenon, the game addresses it by adding another layer of authorial control to the story. Because the Prince is narrating the story in hindsight, he is able to comment on the scripted events as well as the player's modifications. Both the player and the Prince are aware of the fact that you just slipped off a ledge to your doom. Instead of ignoring it, he explains "That's not what really happened," or "Let me begin again," mirroring the internal knowledge of the player. We know that is not how the story is "really" supposed to go, yet it is undeniable that those events transpired. By narrating the game, the Prince is confirming what we already know: the Prince will get through adventure and we are to enact this forgone conclusion. The tension comes from the physical challenge of reaching the end, rather than the possibility of that end not existing. Additionally, the looping nature of the game symbolizes the many facets of storytelling. Each person recounts the past in a slightly different way, even if the end result is the same. As the game shows, there are nearly infinite ways to remember the past and recount history. In the film there is no narrator, we are meant to feel as if we were Dastan, and we are given knowledge as he learns it. Because we are locked into one perspective, the film presents itself as the one true version of a single story, something the game undermines with every button push. Even when the player is not actively replaying events, they are engaged in interpreting the game's plot. The mysterious sanctuaries the Prince stumbles into give him strength, yet are never explained. Farah claims not to notice when the prince disappears, which could make them hallucinations or magical events. The exact nature of Farah and the Prince's relationship is also debatable. While it appears they become lovers, their union takes place in what could easily be a dream. Regardless of what actually happens, everything is reset at end when the Prince rewinds time to prevent the circumstances that brought them together. Unlike his movie alter-ego, the Prince is a hero who does not get the girl and ride off into the sunset. While the Farah of the past may look and act like the one he grew to care for, that person has yet to exist. His princess is more than simply "in another castle," she is in a different story entirely. Rather than deal with the irony and loneliness this evokes, the movie coddles us by suggesting that Tamina and Dastan will still inexplicably live happily ever after. The Sands of Time is more than a nice pun and a nifty game mechanic, it is also a metaphor about the nature of storytelling. Once an event has transpired, history soon works to obscure it, which requires storytellers to step in to craft meaningful narratives. Time wipes away the memory of what the Prince and player accomplish as easily as one deletes a saved game from a memory card, but that does not make the experience any less true. The game challenges us to participate in storytelling while also driving home the point that narratives are inherently malleable and ethereal. Film lacks the potential for such participation and variation, therefore it must this simply lead us through plot points. While it is unfair to fault it for this innate limitation, it is disappointing that the Prince of Persia film feels the need to reassure us that the story we are hearing is the "true" version, that it ends unambiguously, and that everyone will be happy in the end. 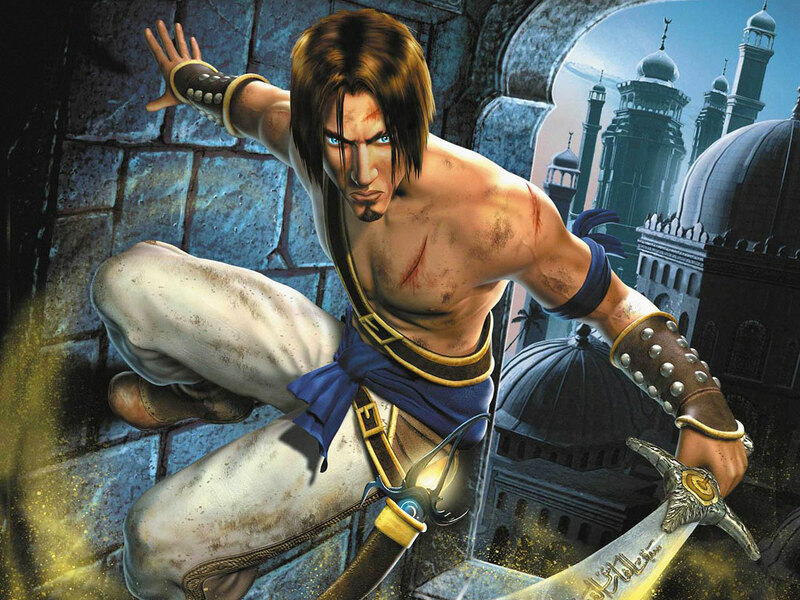 Prince of Persia teaches us, "Time is an ocean in a storm." Such an ocean can be crossed by many routes and such a storm can be weathered in different ways. The game allows us to act as navigators of our own vessels while the film can only make us passengers on a cruise ship. Farah looks downright creepy in that still from the bath clip. Also, it may just be my faulty memory, but I thought it was at least implied that the bath scene was the vizier messing with the Prince's head. Farah didn't seem to share the memory of the incident, and the final confrontation was looming. Great article, by the way. Sands of Time is one of my favorite games, and I'm still... leery... of the movie. I can't help but think it won't do the game narrative or mechanics justice. Games and film are genuinely different mediums, and they just don't translate all that well from one to the other. "By narrating the game, the Prince is confirming what we already know: the Prince will get through adventure and we are to enact this forgone conclusion. The tension comes from the physical challenge of reaching the end, rather than the possibility of that end not existing. " I think this is an interesting statement because, traditionally, "game over" actually did mean the end of the story. When Mario runs out of lives in SMB1, that's it. Mario *failed. * A direct interpretation of "Game Over" means literally that: the game is over. When you start over, you're starting a brand new "story." In other words, the conclusion of Mario's story is not foregone at all. Dastan's self-aware "that's not what really happened" narration is, as you say, a good way of rationalizing the fact that that conclusion is foregone. But, on another level, it's not just rationalization but reconciliation between old and new design ideas, between "game over" versus "respawn at checkpoint." I've wrote about this before, but I do think that time travel mechanics in games serve a really helpful purpose in that they give designers a way to tackle a lot of "game-isms" that are very hard to reconcile narratively. Yeah, I still don't know what to make of the bath scene, but I do love that they never explicitly address it. The game is unapologetic about being magical. It's so matter-of-fact about how it uses fantasy which I think serves to justify it more strongly than any explicit explanation. Your point beautifully illustrates why I would get frustrated with games as a kid: I looked at "Game Over" as more of a personal failure. For some reason, I had it in my head that the "real" version of the game was one where I completed the story in an unbroken way. Every time I died, I would rationalize it just as the Prince does: "Wait, that didn't really happen...here's the real version where I don't get stomped by Bowser!" Regardless, I totally agree about time travel: it's an elegant way to integrate one of the core mechanical tenants of the medium into a traditional story.